Take advantage of our FREE Shipping on Orders over $99.00 (Ultrasound Gel is Heavy and Expensive to Ship, sometimes costs more to ship than the price of the Gel! So, STOCK UP and get the Free Shipping! 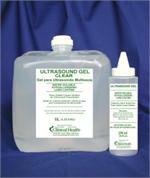 A great alternative to ultrasound gel. 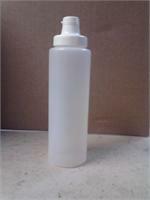 This conductive medium is recommended for use in all therapeutic applications where a medium viscosity lotion is preferred. Patients appreciate the convenience of a lotion-based product as it can be massaged into the skin after the procedure unlike many gels. 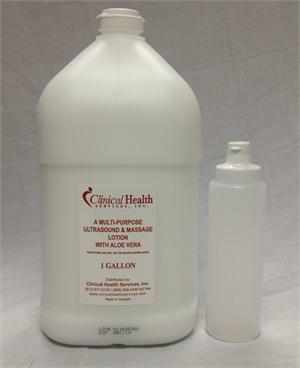 This product is very popular product in Chiropractic and Pain Management Clinics where they perform an ultrasound therapy treatment followed by a massage, they use this product for both procedures. 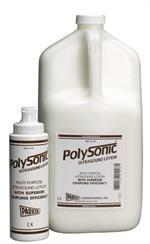 It's a great way to combine two different products into one and save money, this is a great price! We also have a lot of massage therapists that use this product just for massaging due to it's low price and because you can put this product in a lotion warmer without the product becoming denatured. Take Advantage of the Free Shipping Opportunity and Keep on Browsing our site for more products. Take a look at our Exam Table Paper Rolls, They're a great deal also.